Robert Jeffreys and Rebecca Gerken founded a subscription service that would ship English chocolates worldwide, after reading about the Hershey lawsuit banning imports into the U.S. Their website was taken down within days of media coverage of their business. WEST VILLAGE — A couple in England has been forced to close their business exporting "illegal" chocolate to the United States just weeks after it launched, according to a note on their website. "We started this business quickly in order to try and meet a demand and seize upon an opportunity," founders Robert Jeffreys and Rebecca Gurken wrote on the British Chocolate Club's website Thursday, less than a month after promising to ship banned British Cadbury chocolate to the U.S. for between $15 and $25 a month. They said they had done their research and believed they were covered legally. "So that gave us enough confidence to begin," the note added. "Unfortunately that confidence was misplaced. We cannot provide the service we wanted to and so we must close our very short lived business." 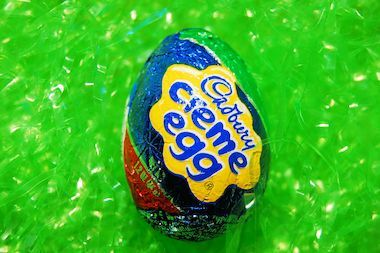 Hershey is suing to block importers from bringing authentic Cadbury eggs from England to the U.S. The business' closure comes after American chocolate giant Hershey filed a lawsuit against an import company called LBB Imports, or Let's Buy British, asserting Hershey's exclusive right to manufacture chocolate in the U.S. under the Cadbury name. A Hershey spokesman on Tuesday told DNAinfo New York that what the British Chocolate Club was doing was illegal, but said he couldn't "speculate on future potential legal actions" against the couple. "We prioritize our efforts when it comes to protecting our brands against infringement," the spokesman, Jeff Beckman, wrote in an email Tuesday evening. "At the same time, we do not ignore those that we view as having a negative impact on our brands." Beckman said that Hershey did not contact the couple. Gurken told DNAinfo that she and Jeffreys did not receive a formal threat from Hershey, but became concerned after reading a statement from Beckman and sought legal advice. "We were told that Beckman was right and that it was very risky to continue, that our necks were on the line and that we could get sued in the U.S.," Gurken said. Gurken and Jeffreys had been under the impression that they were allowed to ship British-made chocolates from their town of Kings Lynn in England to subscribers around the world, because they were sending to individuals instead of to businesses. "But that information was false, so we decided to pull the plug," Gurken said. The couple gave full refunds to all of their subscribers with an apology "for any inconvenience caused." 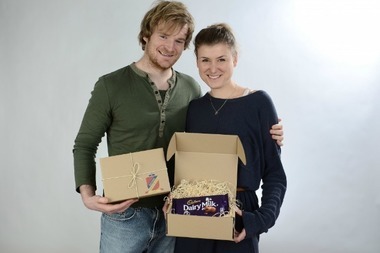 To subscribers who had already been shipped their orders, the couple wrote, "Please accept the chocolate as a gift." Gurken told DNAinfo that they had received more than 200 orders overnight, and that "everyone has been very understanding and supportive." The news of the website shutting down was first reported by the U.K. edition of Aol.com. British expats in the U.S. have favored importing the chocolate from their home country, with some arguing that Hershey's creations were simply not as good. 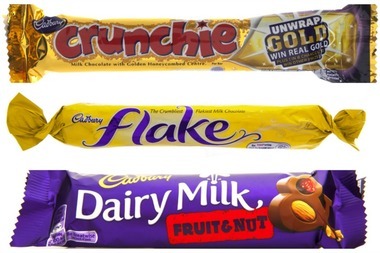 These are just a few of the British chocolate bars offered through British Chocolate Club's subscription service. Hershey's lawsuit against LBB prohibits companies from importing other British chocolate bars on the grounds that the wrappers or names are too similar to Hershey-made chocolate. They cited the British Toffee Crisp bar, with an orange and yellow wrapper that they said too closely resembled Reese's wrappers, and English Yorkie bars, which they said could be confused for York Peppermint Patties. Hershey would lose revenue, the lawsuit alleged, if confused consumers who intended to buy Hershey products accidentally bought the English ones. But those chocolates, and others, are available from British sellers on Amazon.com. Beckman, the Hershey spokesman, also did not respond to an inquiry about whether those operations were also illegal.